Contact us today, as we have a plan tailor made for you. 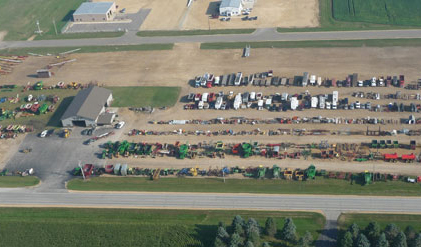 Hamilton Auction is headquartered in Dexter Minnesota and has been serving southern Minnesota and Northern Iowa area for over 50 years. This multi-generational business has countless experiences handling other peoples assets during times of transition which has taught us volumes, earned us respect from numerous industry peers and organizations along with building a large portfolio of satisfied sellers and buyers. We specialize in converting your agricultural land, farm, construction assets to working or bankable capital. Whether you have land or equipment to sell, you’ll have our promise of commitment and attention to detail. Wide area promotions, solid equipment and land knowledge coupled with our ability to bring seller and buyer together, makes Hamilton Auction Company your auction or land sale solution. Contact us today, as we have a plan tailor made for you. Annual Labor Day Sale We will be selling over 2000 items with Multiple Farm Retirements through out the Sale.